Aaron Basha's famous Shoe collection features this adorable polka dot baby shoe. 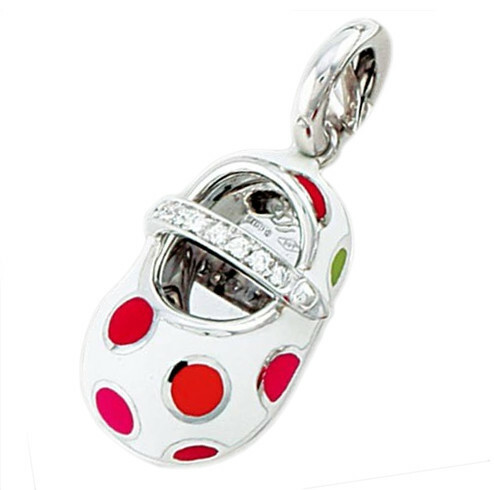 The shoe is crafted in 18kt white gold and enameled in white with red dots. A small green dot is thrown into the fun along with a beautiful diamond strap. You can't go wrong with this uniquely adorable Aaron Basha charm.